Bucks County is a county located in the Commonwealth of Pennsylvania. The county seat is Doylestown. The county is named after the English county of Buckinghamshire. The boroughs of Bristol and Morrisville were prominent industrial centers along the Northeast Corridor. Suburban development accelerated in Lower Bucks in the 1950s with the opening of Levittown, Pennsylvania, the second such “Levittown” designed by William Levitt. Bucks is also experiencing rapid growth in biotechnology, along with neighboring Montgomery County. Another important asset of the county is tourism. The county’s northern regions are renowned for their natural scenery, farmland, colonial history, and proximity to major urban areas. 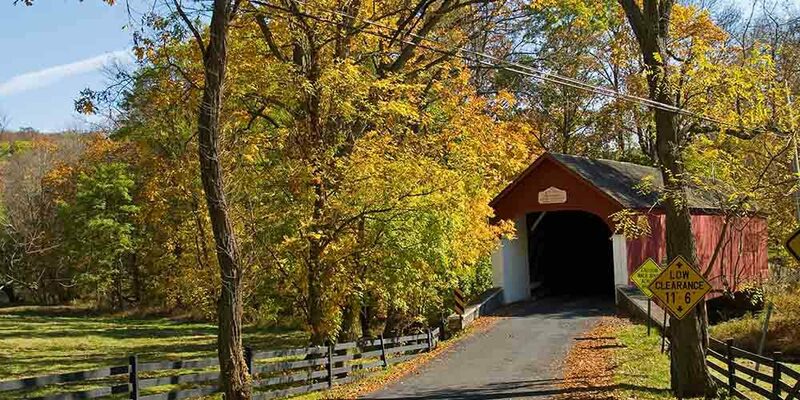 Bucks County is home to ten covered bridges that are still open to vehicular traffic. Many artists and writers based in New York City have called Bucks County home, settling mainly in the small stretch between Doylestown, Pennsylvania and New Hope and along the Delaware River. The county boasts many local theater companies, including the long-established and recently reopened Bucks County Playhouse in New Hope, Town and Country Players in Buckingham, ActorsNET in Morrisville, and the Bristol Riverside Theatre, a professional Equity theater in Bristol.